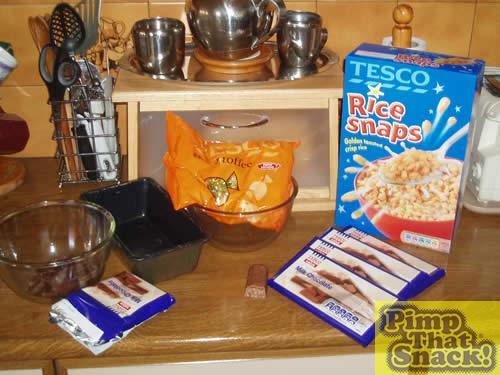 1 x box of Tesco "Rice Snaps"
We lined our tin with greaseproof paper, so that later removal was easier, and melted 2 bars of chocolate in the microwave. 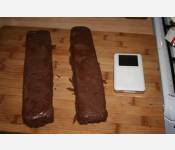 Hastily put the mixture into the fridge, so it slightly hardens. Then we needed toffee....and lots of it. 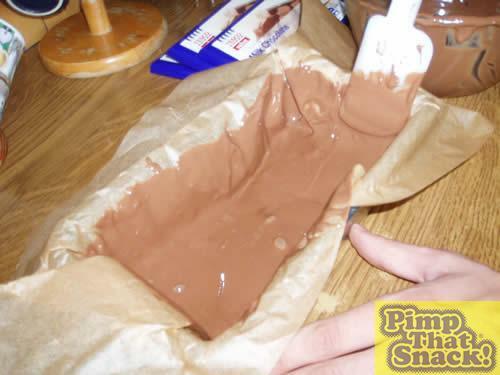 So we melted down the entire bag of Tesco toffee (important REMOVE WRAPPERS!!) 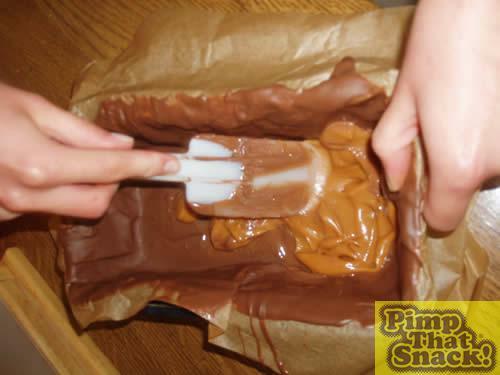 which created a very large gooey mess. 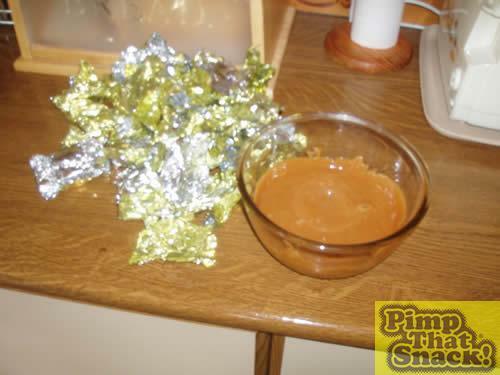 Pour half of the toffee into the tin, which started re-melting the chocolate - didn't think of that one beforehand! So we had a slight panic, involving quick pouring into the tin, and putting it straight back into the fridge! 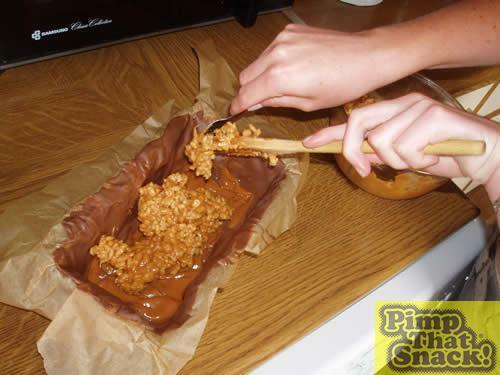 Then, from our "dissection" of a normal toffee crisp, we discovered we needed toffee and rice mixed together! 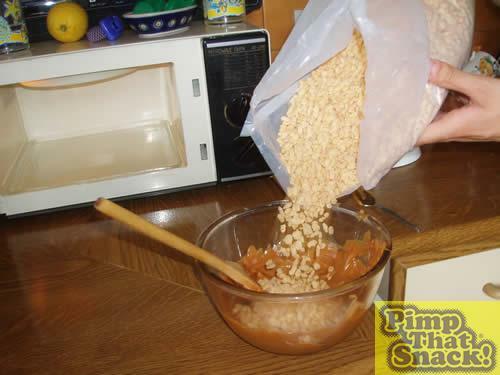 Sop we mixed a lorra lot of rice snaps with toffee and mixed like we'd never mixed before!! and, guess what....back in the fridge! !